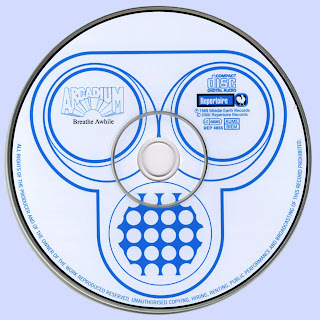 Arcadium was another list of obscure British psychedelic bands. They had their start playing at such clubs as The Middle Earth (where every act you can imagine from well known, like Pink Floyd, to little known acts like Writing on the Wall, Wooden O, and Tam White were seen performing there). A small label called Middle Earth, who released only five albums, (one being a compilation called Earthed, another by Writing on the Wall called The Power of the Picts which I have reviewed here) released Breathe Awhile their one and only LP. The band consisted of (presumably) brothers Allan Ellwood (organ, vocals) and Robert Ellwood (lead guitar, vocals), as well as John Albert Parker (drums), Graham Best (bass, vocals), and Miguel Sergides (12-string guitar, vocals). The music is late '60s British psychedelia with some early prog leanings, where guitar and Hammond organ dominates. The vocals are a bit sloppy, but nothing that I find particularly bothersome. The album opens up with the 11:50 minute "I'm On My Way". Starts off slowly, with some psychedelic vocals, eventually the band starts jamming and it gets more intense as it goes on. "Poor Lady" is a short piece, but it's such a cool piece, very catchy piece as well. The 7:34 "Walk on the Bad Side" starts off more in the psychedelic pop side, but don't let that deceive you, as the music keeps getting better and better and more intense, and the pop style was pretty much thrown out the window after a couple minutes! "Woman of a Thousand Years", not to be confused with the Fleetwood Mac song found off their album Future Games (1971), it's a totally different song. This piece bears passing resemblance to Van der Graaf Generator (although the only album VdGG had released at the time was The Aerosol Grey Machine), especially in the organ and almost Peter Hammill-like vocals. But of course, the music is nowhere as complex as VdGG is known for. The next two cuts, "Change Me" and "It Takes a Woman" might not be as catchy as say, "Poor Lady", but they're still excellent cuts. The album closes with the 10:17 epic, "Birth, Life and Death" where the bands gets in to more killer jams, with some more great psychedelic vocal passages. 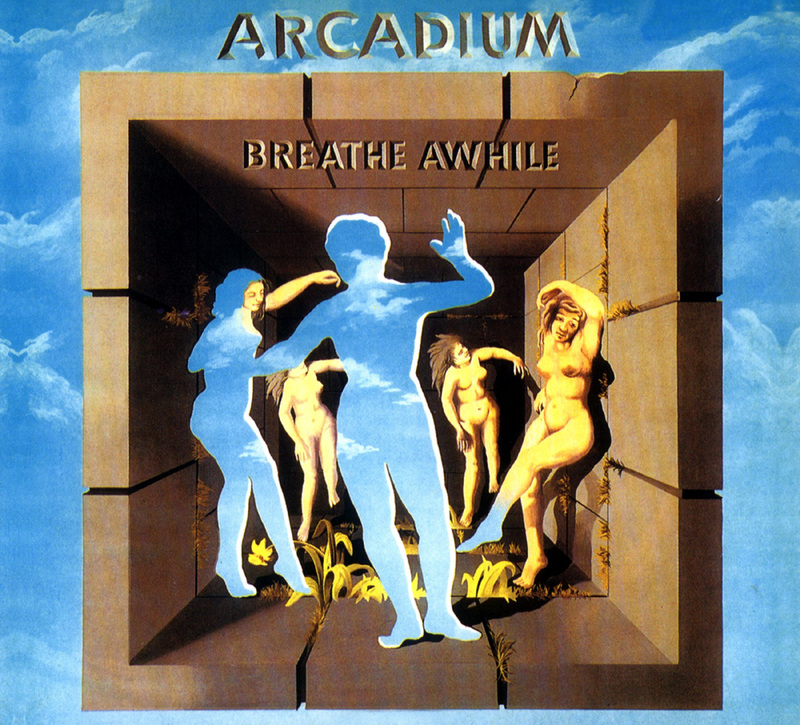 While the original LP is very hard to come by, Repertoire Records in Germany had reissed this on CD with two bonus cuts, "Sing My Song" and "Riding Alone", both originally appearing on a single the band put out the same time as Breathe Awhile, which compliments the album very nicely (as the music pretty much in the same vein). Another totally obscure gem worth looking in to! Completely new to me. Thanks Marios! Also, some of the coolest cover art that I have seen in awhile. Traditionally, before reading, turn on the music, because the music tells us more about myself than even the best-chosen word :) This album has something of the great, grim secret. Rare reviews the album accuse her uniform sound and a similar atmosphere of the album. Just in case psychedelia may be an additional reason to sink into the sounds without any restrictions ... Probably will be an opportunity to write here about this aspect. 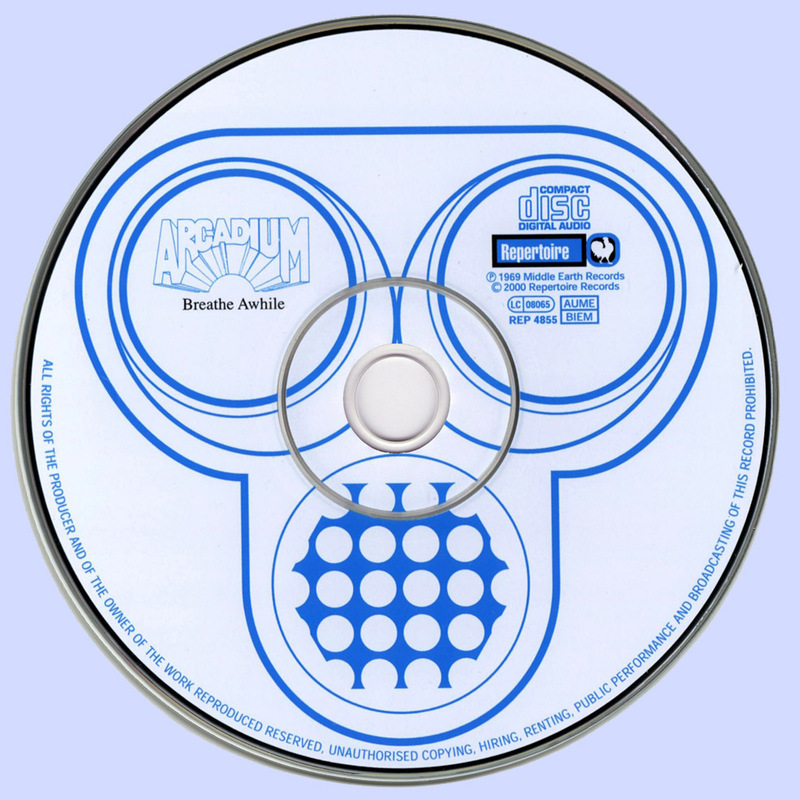 A leading figure in the Arcadium was the creator of all music, singer Miguel Sergides. If I had to describe their music in the context of other bands have written that it was Vanilla Fudge, The Crazy World Of Arthur Brown and Iron Butterfly may drown existential sadness overwhelmed. Hammondy, guitars, anguished voice Sergidesa (I think this guy really was miserable), sometimes reinforced with choral chants. The same plate ... full of excitement, contrast and sophisticated beauty - combining great melodies with a natural, raw sound, psychedelic flights, with a strong, almost heavy metal guitars. It begins with a long-developed and diverse composition of "I'm On My Way" from the progressive leadership climates, sand storms and adept, to the sharp and strong riffs, played at the end with great verve, passion and conviction. "Poor Lady" is the absolute - just a vocal revelation, something sad and shocking is the seemingly serene and melodious song. Psychedelic "Walk On The Bad Side" with a great organ hammond, dirty guitars and vocals pulls przecudownym heart of the breast. The fourth gem is "Woman Of The Thousand Years", which govern hammondy wonderful, passionate vocals and slightly narcotic refrain from repeating the title phrase. "Change Me" begins with tasteful, lovely guitar - vocals absolute champion of the world again - there is sadness and nostalgia, but at the same time building a sense of strength and hope. Such a depressing passion and desperation that twenty years later tried to revive the bands from Seattle. Galloping, fast, "It takes a woman" infects your intensity and an almost heavy metal energy. The album ends with more than 10-minutes, absolutely smashing "Birth, Life and Death." Strength, character, dignity and elegance of this song are incredible. Raw, expressive guitars break the blades that ran hammond give mad rush after 4 minutes of silence, and we have a light rhythm section like the pulse of a sniper for a while before shooting, which has forever changed the course of history. The vocals do not appear until the end of the fifth minutes, calming and transforming soaring flight crazy lazy clouds drifting, trance bath with clouds, dense and soft, cold still intact sun, the crimson ball only tentatively leans over the horizon. The CD bonus tracks we have, from the single "Sing My Song / Alone" - issued in October 1969. "Sing My Song" and "Ride Alone" is a beautiful ballad, in a slightly psychedelic atmosphere, with vocals where no sorrow to die.